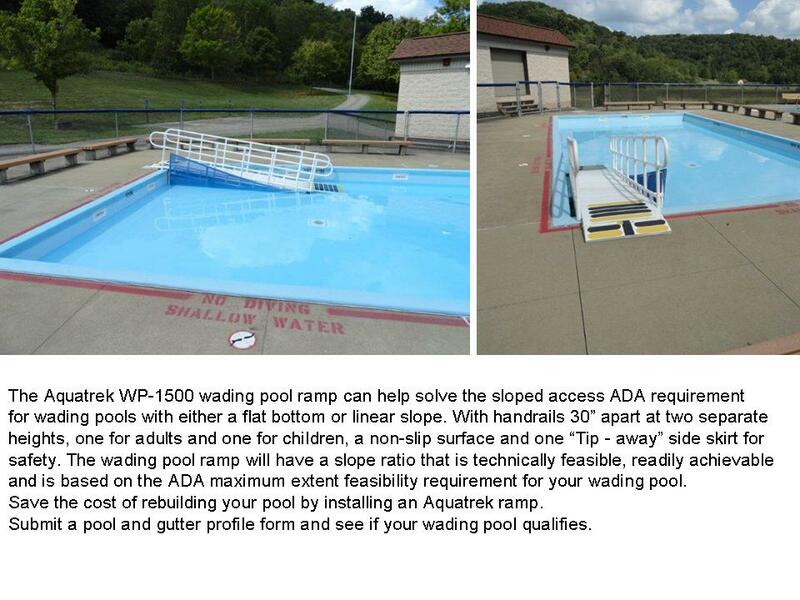 The same quality Ramp as our standard Aquatrek2 products, specifically modified to meet the ADA standard for Wading Pool Access. a non-slip surface and one “Tip-away” side skirt for safety. 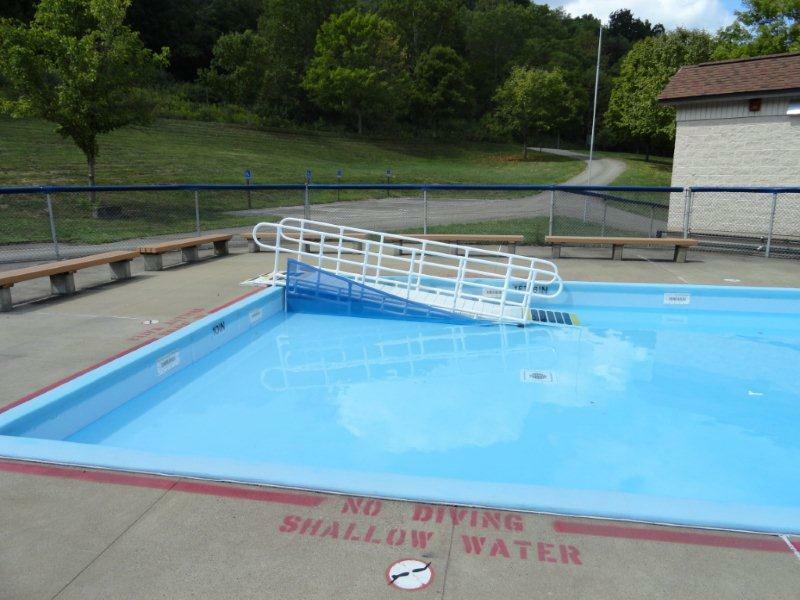 requirement for your wading pool. All of our ADA units provide a unique 24 inch wide handrail offering unlimited hand positions and provides maximum stability to the user. Call us for seasonal specials. 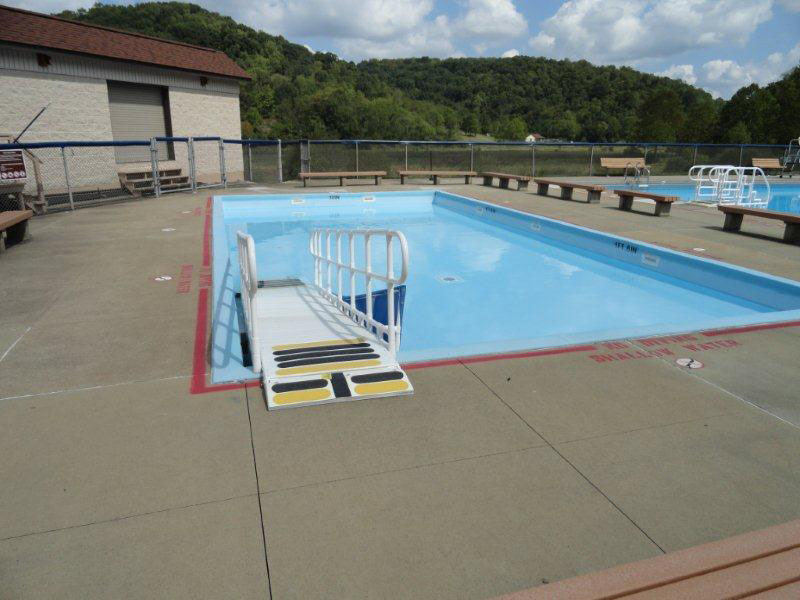 Designed as a practical solution for aquatic access, the AquaTrek2 Wading Pool Ramp lets people of all ages and abilities enter and exit the swimming pool with ease. All fasteners are made of the finest stainless steel including deck anchors. 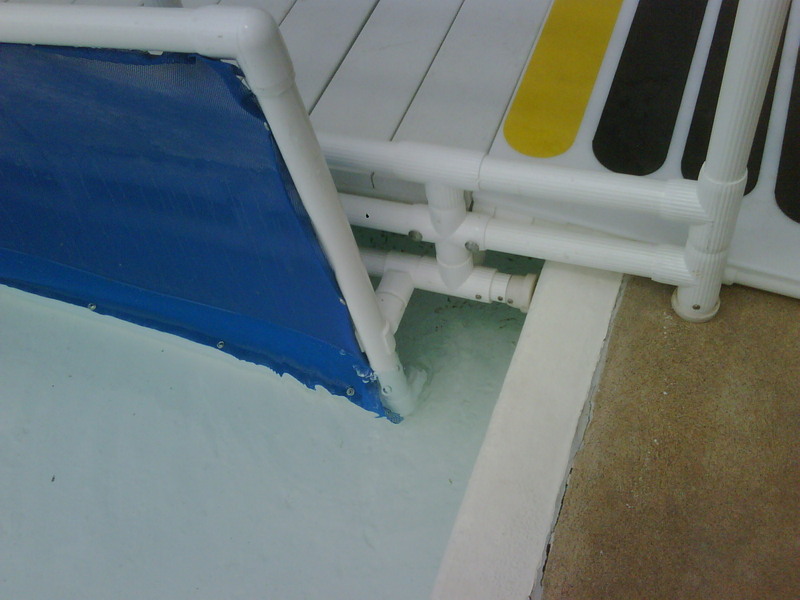 Treads are 30-inches wide and the virgin Aluminum reinforced skeleton gives the unit the needed strength and stability for use in a commercial pool environment.